Kratos Defense & Security Solutions, Inc. (Nasdaq: KTOS) will serve as the founding member of the Space Information Sharing and Analysis Center (Space ISAC), which was unveiled today during a classified session at the 35th Space Symposium in Colorado Springs, Colorado. As a service to the industry and with the support of the U. S. Government, Kratos has provided the initial funding and support required to set up this critical organization. ISACs are sector-specific, member-driven organizations stood up by the U.S. federal government to collect, analyze and disseminate all-hazards actionable threat and mitigation information to asset owners, operators, and members. The need for a Space ISAC was conceived by the Science & Technology Partnership Forum in 2017 in response to recognized information sharing gaps within the cybersecurity and space community. The Forum’s goal was to enhance the community’s ability to prepare for and respond to vulnerabilities, incidents, and threats; disseminate timely information; and serve as the primary communications channel for the sector with respect to this information. The Forum shared this vision at the 34th Space Symposium in May of 2018. To facilitate the Space ISAC’s origination and organization as the founding member, Kratos has coordinated the organizational planning and federal government charter, funded the Space ISAC startup costs and also developed the operational plan for the Space ISAC. Kratos will continue to provide leadership within the Space ISAC and will recruit other industry-focused companies and organizations to build a robust Space ISAC membership. Phil Carrai, President of Kratos Technology & Training Solutions Division, said, that is an honor for Kratos to support such an important initiative. 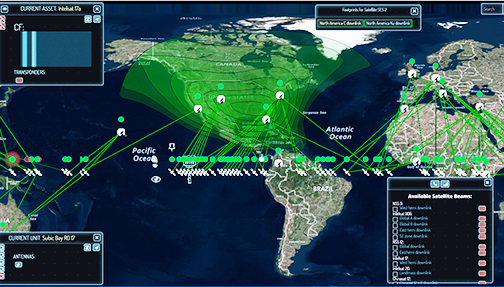 Protecting space assets is becoming an increasing challenge, both from cybersecurity threats and from the increasing challenges in the RF domain in the form of jamming, unintentional interference, Space Situational Awareness and other growing threats. Only by sharing data and experiences across government and industry will we be able to counter them effectively. Frank Backes, SVP of Kratos SATCOM Products and Federal Space Solutions and the acting President of the Space ISAC, said that Kratos recognizes the need for an industry-led organization dedicated to securing space assets. As the Space ISAC’s founding member, Kratos will continue to play a leading role as the ISAC takes the next steps of establishing its Board of Directors, recruiting additional member companies and standing up an information portal.